Why Process Servers Are Favored over Sheriff Servers | Reliant Court Services, Inc.
People who are in the beginning stages of a court case understand how important it is to find the right process server. 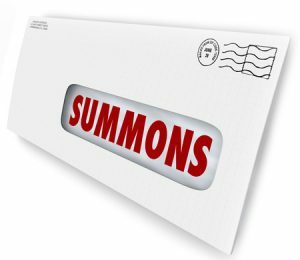 A process server is responsible for delivering legal documents to a defendant involved in a lawsuit. This must be done carefully and accurately. The only two people who can legally do this are process servers, hired by law firms, and sheriff servers. The difference between the two process serve styles is a matter of timing, and in any court case, timing is of the absolute essence. Here we discuss a few reasons why most legal experts recommend a process server over a sheriff server. Sheriff servers often work between the business hours of 9 am and 3 pm, making it difficult to process rush serves. On top of that, because law enforcement is responsible for a host of duties involving other legal matters, which often require attention and detail, they don’t always have the time to dedicate to the persistency of pursuit; if legal documents need to be served on a certain day at a certain time, it may be difficult for a law enforcement officer to deliver them within these time constraints, especially if they’ve been instructed to attempt contact only once or twice at a chosen time. Although the average cost of hiring a process server to deliver legal documents is slightly higher than the cost of a deputy hired to do the same job, most people report being satisfied with their decision. As mentioned, sheriff offices don’t always have the time to make multiple attempts at contact, as most process servers do. In addition, process servers are often more knowledgeable in law terminology and court proceedings, and this adds extra security for those using this type of serving process. Because process servers want to be rehired by the law firms or legal facilities they work for, they are more inclined toward providing a better overall customer service experience. Any questions you have regarding the legal serving process can be answered by this type of professional, whereas when individuals utilize a deputy to fulfill the same role, they may be left with questions unanswered. Reliant Court Services provides New York process service and national process service throughout the state, including the five boroughs. We make sure our process servers carry out their job duties in accordance with state law and in a timely manner. We hope to be of service to you during your own court proceedings. Call 631-567-3120 to find out more about the legal support we offer our clients today.